Now you can save your precious time, as well as keep your finds clean and shiny, staying at home, and with the minimum effort. Everybody knows that all finds need cleaning on a regular basis, to keep them in decent condition. 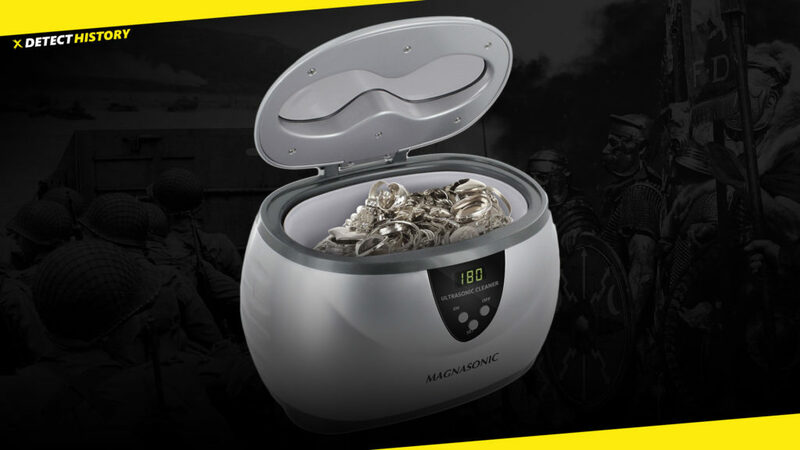 With a home ultrasonic cleaner, it is super easy to keep your coins, old jewelry, Civil War belt buckles, and other treasures and finds in a perfect state. 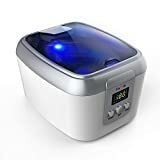 If you are looking for an ultrasonic cleaner, you have probably read a lot of ultrasonic cleaner reviews. 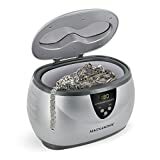 However, to choose, for example, an ultrasonic jewelry cleaner, you do not need to buy the most complicated or expensive one. Learn how to choose and buy the best ultrasonic cleaner for reasonable price. All home ultrasonic cleaners have two fundamental parts. The first is a small engine which is the mainstay of the whole process of cleaning. The second is the cleaning tray where items that you need to clean are put. A home ultrasonic cleaner enables you to do the cleaning all by yourself in a matter of several minutes. The home ultrasonic cleaner can be plugged to any kind of socket in your house. Once you plug in and turn on the machine, the motor creates vibration waves that produce tiny bubbles that instantly collide with each other, and knock against the surfaces of the items kept inside cleaning chamber. This knocks off the dirt sticking to the surface of the items, and makes the items clean without rubbing them. This process is known as cavitation. 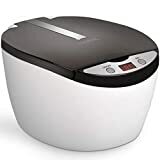 For cleaning purposes, the majority of the home ultrasonic cleaners uses normal tap water, but for more effective cleaning you can also use detergent powder, cleaning agents, or ammonia. Make sure no harsh chemicals like bleach or acid are used because these can destroy the finds. any historical finds made of non-ferrous metals. Also, you can use ultrasonic cleaners for cleaning various items in everyday life. You put your find in the ultrasonic cleaner with liquid. After switching, a lot of gravitational air bubbles appear in the liquid, which create the effect of sound pressure. This method is unique because it cleans even those places that are difficult to reach manually. Each bubble causes a micro-explosion of a kind. These implosions create pressure able to remove the dirt. These devices are especially useful when you need to clean an area of the item that is unreachable for manual cleaning. Ease of use. In order to clean the object in such cleaner, it is enough to fill it with the necessary liquid, and it is ready to use. Cleaning hard-to-reach places. Small bubbles of air get everywhere you cannot get with even the smallest brush. No mechanical damage like rubbing. Speed. It does not take lots of time to clean the object in the ultrasonic cleaner. Five minutes is enough to cope with the average dirt, which is several times faster than manual cleaning. Ultrasonic cleaners differ only in the size and presence or absence of the heating element. The size of the cleaner is chosen according to the items to be cleaned. The heating element in the design is welcome, but if a disinfectant solution is used during cleaning, higher temperatures are not obligatory.